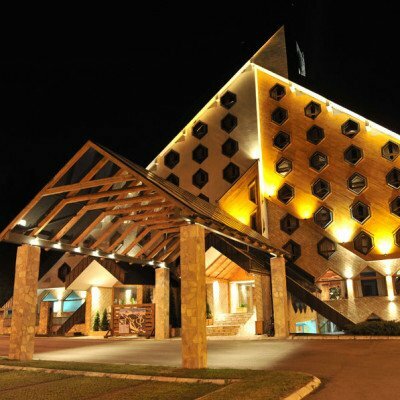 Arrive in the high Balkan mountain town of Zabljak (1450m) and your 4-star hotel. Swimming in the glacial Crno Jezero (Black Lake), walking through deciduous forest - keep your eyes peeled for various eagles in the skies above - and a picnic in the shadow of the Medjed Peak are just some of today's highlights as we explore the heart of the Durmitor National Park. Formed by glaciers, and traversed by a multitude of rivers, lakes and underground streams, the park is also home to one of the last virgin black pine forests in Europe with fauna including brown bear, wild cat, chamois and capercaillie. A scenic serpentine road takes us up (45 mins) to the Lovcen National Park with over 6,000 hectares of natural contrasts: imposing snow-capped peaks, stunning coastal views, 2000+ plants, 85 species of butterfly and over 200 bird types including many regal birds of prey. Besides its natural beauties, the park protects a rich, cultural and architectural heritage too, including authentic katuns - summer cottages for cattle breeders. We walk up to the mausoleum of Prince- Bishop Petar II Petrovic-Njegos - the ruler, poet and philosopher credited with having modernised Montenegro. 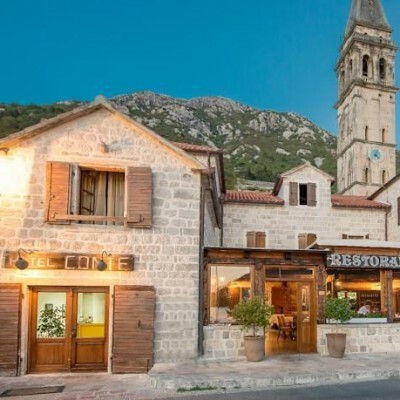 We then continue to his birthplace - the picturesque mountain 'food' village of Njegusi, famous for its cheeses, honey and dried smoked hams, before a transfer to Perast and the Hotel Conte, your home for the next 4 nights. Dinner at the hotel is included tonight. Wedged between brooding mountains and the gorgeous bay, the historic city of Kotor is a UNESCO listed Natural and Culturo-Historical Region. Within the ancient walls its labyrinthine streets reveal some of the finest examples of mediaeval architecture: Romanesque churches, Venetian piazzas, San Giovanni castle and other cultural monuments. In the afternoon we take a scenic drive south west to the coast. This is followed by a relaxed afternoon on the water exploring the gorgeous sheltered Bay of Kotor and its postcard-pretty mediaeval villages, ancient coastal settlements and tiny man-made island of 'Our Lady of the Rocks' whose famous church is steeped in maritime history. Start the day with a 50 minute transfer to Trojica to begin today's hike to the top of Vrmac Mountain where we can enjoy views of Kotor Bay. We transfer you back to your hotel in Perast in time for dinner (included). Group transfer to Podgorica Airport. Situated in the heart of Zabljak and surrounded by the natural scenery of the Durmitor National Park is the newly built Hotel Soa. 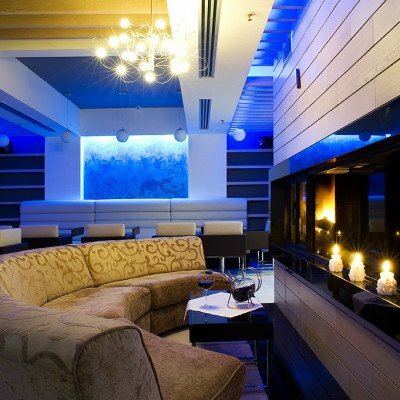 The hotel features a blend of traditional and contemporary architecture with 18 comfortable rooms, a restaurant offering a variety of dishes and a stylish lounge bar. The hotel itself is tucked away, just off the road to the lakes, and surrounded by conifer trees, with a magnificent view of the mountains. Room upgrades: Standard Suite, Family Suite or Executive Suite. The Suites are larger than the Superior rooms and include a kitchenette. Please note that for departures on 28 August and 08 September, stays will be taken at the Hotel Zabljak rather than Hotel Soa. Renovated in 2012, this 4 star hotel offers 26 modern comfortable rooms, with Wifi, TV, minibar, safe and air conditioning. Facilities include a spa with jacuzzi, sauna and gym and an a la carte restaurant with large outdoor terrace. Conveniently located in the centre of Zabljak, and just 10 minutes walk from Durmitor National Park. Rustic in design combining the ambience of a ski lodge with 4 star comforts, this elegant resort is situated right in the centre of the town of Kolasin surrounded by pine trees and stunning mountain views. Comfortable rooms include satellite TV and minibar and mountain views. There is also a huge pool and fitness room. Lying right by the water's edge and boasting one of the area's best restaurants is the historic Hotel Conte. The hotel was once the Venetian town hall but was converted into a stylish hotel by the current owner in 2010. The restaurant is right at the water's edge with simply stunning views of the Verige straight and the tiny islands of St George and Our-Lady-of-the-Rocks. In the morning boats can often be seen mooring here to look at the menu and visit some of the town's 18 churches, the church of Saint Nicholas being just a few steps from the Hotel. Room upgrades: Junior Suite or Apartments. Junior suite with sea view, Apartment with sea view, 2 Bed apartment with sea view or 3 Bed apartment with terrace & outdoor jacuzzi. Transfers included from Podgorica airport at 09:40 (10:20 2 Jun dep) and back to Podgorica airport at 06:15 (07:00 2 Jun dep). Excellent experience of the highlights of Montenegro but slightly too long in the minibus on some days. A great first experience of Headwater organisation. We were fortunate to join 8 other wonderful walkers who were all Headwater advocates. The guide was a great guy, helpful, interesting and fun. Hotel Soa was not so good. We hope to travel with you again. Montenegro is a very beautiful country and the programme certainly showed us many highlights; guide Sinisa with his excellent knowledge of the region and its history certainly enhanced our holiday - super group of people too! Great locations, excellent guide and a great bunch of fellow hikers. Wonderful holiday. The whole holiday was well organised to give a diverse interesting and relaxing introduction to a wonderful country complemented by an extremely helpful guide. Excellent locations. Both hotels good,but Conte excellent. Food at Soa OK but not outstanding, while the meal out was really good. Super guide and a varied programme made it memorable. A fascinating place to visit. Walking through beautiful 'alpine' scenery, gradually learning about the complex history of the area from a knowledgeable and amusing guide. Great local wine and food. Interesting country, good guide and walking. Fair amount of hill work, some with steep drops on one side. Would have helped if Headwater had provided good profiles for each walk. Very friendly people along the way. We thoroughly enjoyed our walking holiday in Montenegro. Our guide Sonja was excellent and the scenery was superb with very good accommodation. A wonderful way to explore and enjoy a beautiful new part of the world, with challenging and stimulating walks and experiences - and with all the concerns, planning and details in the safe hands of a friendly and knowledgeable guide. I thought Montenegro was very beautiful. Headwater are an excellent and efficient organisation with well planned holidays. Excellent scenery with a nice mix of challenging walking and more relaxed days. Montenegro is a really beautiful country and the guide really knows it well. Our guide was really knowledgeable, helpful and friendly. She led us on some excellent walks with stunning views. If you like organised group holidays and walking I would recommend this company. An excellent experience discovering a fascinating region which is still mostly unspoilt by mass tourism. Montenegro must have some of the most beautiful, unspoilt landscapes in Europe. The walks are a good distance, mostly through woodland, but with some spectacular mountain top views as well. In September, the temperature was about right, although we did have some thunderstorms and rain, fortunately mostly at night. I have never seen so many varieties of fungi as there were in Durmitor National Park and the fields were carpeted with Autumn crocuses and the woods speckled with wild cyclamen. The group of 12 got on really well and our local guide was delightful and looked after us brilliantly. The food was delicious and we were able to buy wild berries, dried mushrooms and smoked ham and cheese, eat local pastries for our picnics drink Montenegran and Croatian wines and try local liqueurs. The second part of the week in Perast makes for an excellent contrast, with a bit a culture thrown in, a couple of boat trips and wonderful seafood. Very nice holiday in nice locations, with excellent local guide, only spoilt by extremely poor accommodation at Hotel Conte in Perast and extreme tiredness on first day due to ridiculously early flight time from Gatwick. Thank you for taking the time to complete your post-holiday questionnaire. We were pleased to see you enjoyed your holiday overall and rated our local guide as excellent, we will ensure your praise is passed on. We were however sorry to read you felt the room allocated to you at Hotel Conte was extremely poor; this was disappointing to read; especially since past customers have rated this hotel highly. However, in light of your feedback, we will continue to monitor this hotel and work closely with the Hotelier to ensure our customers receive the standard of accommodation they have come to expect on a Headwater holiday. We were also sorry to hear you felt extremely tired due to the early flight from Gatwick. In order to alleviate this, we do offer extra nights in Dubrovnik before the start of the holiday, which can help break up the travel a little. We are sorry if you were not aware of this option. We had really good walks in quiet, beautiful countryside in a part of Europe that is so far relatively unspoiled by excessive tourism. Our guide was friendly and knowledgeable and the group of 13 got on very well with each other. This was my first holiday with Headwater and I really enjoyed it. It was well organised, the accommodation and food was very good and our guide was really good, helpful and very knowledgeable. Montenegro was graded one and a half boots - I think two boots would be more accurate as some of the walks were more challenging that those in the holidays I had recently with Headwater on the Amalfi coast and in the south of France. Having said that, the country is very beautiful and unspoilt and although some of the bus rides from Perast were long (over two hours) the countryside was so interesting I didn't mind at all - despite the hairpin bends! The holiday provides plenty of views of this country of contrasts during walks and (longer than expected) minibus transfers. Our local guide Olivera helped to explain much: from tourism on the crowded coasts to the many deserted buildings. 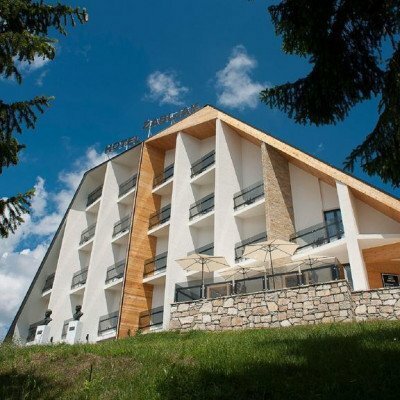 Zabljak area provides mountain walks and scenery, so take warm layers as air can be cool if sun goes in (the hotel looks good, but only rates 2*). The village of Perast is a gem and fairly quiet in September, luckily 20mins drive from busy Kotor where the ocean liners stop. Hotel Conte really is 4*, with super food. All walks can be rugged from 1 to 2 boot (sturdy shoes and poles useful even on town walls of Kotor), and sometimes views hidden by low (wet) clouds (so thanks to our safe drivers). Not much evidence of wild life as we missed migration season. Dear Mr Ward, Thank you for taking the time to complete your post-holiday questionnaire following your holiday to Montenegro, Please be assured that all of the feedback we receive whether complimentary or critical is valuable in helping us to continue to improve and develop our holidays for the future and is well received. We were pleased to read you had and enjoyable holiday overall, taking in the contrasts this area has to offer. Since receiving your feedback and as we continue to improve and develop our holidays for the future, we have made some changes to this holiday for the 2016 season. Firstly, we have changed the hotel in Zabljak to a 4 star located in the heart town, we have also increased the rating to a 2-boot holiday; we hope you will agree that these changes will help enhance an already interesting and enjoyable holiday. In closing, we would like to thank you for travelling with us this summer and look forward to welcoming you on another of our holidays in the future. Good walking in a stunningly beautiful Country though the geography meant some long drives to access them. Hotel Zabljak though looked good, once experienced felt cheap....bathroom fitments all loose, no plug in a tiny washbasin, shower that flooded the bathroom, awful food, undrinkable coffee! Not up to what we believe are Headwater standards. Hotel Conte stunning location very good food until last evening when our group played second fiddle to a wedding party. By the time we were offered dessert, very late, there was only ice cream on offer. Dubrovnik Palace Hotel fabulous a brilliant way to end a good holiday. The Hotel Conte in Perast, its staff and its service were excellent and we thoroughly enjoyed being there, much more so than at the hotel in the mountains. What a pity that there are not more local walks in that lovely coastal area; although the boat trip in Kotor Bay was most enjoyable. The walks in the mountains (Durmitor NP, Tara River Canyon and Lovcen NP) have spectacular scenery but are somewhat dependent on fine weather for full enjoyment which, unfortunately, was not always the case for us - disappointing! Overall, though, a good holiday. Very enjoyable. The first two walks in the Durmitor NP were fantastic, definitely my favourite. Montenegro is a beautiful country, fantastic mountain scenery and Kotor Bay is wonderful. We didn't bring walking poles due to the 1+ grading but I would have found them very useful on some of the walks, especially the last day walking to Godinje. Can't comment on Lake Skadar boat trip as that wasn't possible for us. Our guide Sinica was great, very considerate and obviously knew all the walks well. We have had some wonderful holidays with Headwater and this was one of the best. Do not stay at the Hotel Zabljak. See our separate email to you. We were surprised at your recommendation of the Dubrovnik Palace Hotel - it is so different to what you offer elsewhere! An excellent guide, wonderful walks and very agreeable fellow travellers. We would always recommend small group holidays - they are so much more friendly. A series of walks in varied locations. Selected Wednesdays & Sundays from 22nd May 2019 to 18th Sep 2019, for 7 nights. All dates are subject to availability, please contact us to check. Due to the tailor-made nature of our holidays, we need a little more information in order for us to check availability for Highlights of Montenegro Walk. Simply complete the form below and a member of our sales team will contact you (when it's most convenient for you) to provide availability information, travel options and an accurate price. Of course there's no obligation, but if you do wish to proceed with a booking they will be on-hand to assist you throughout the process.